Nissan is expecting its Leaf electric car to reach a sales capacity of 40,000 units next year, a top executive told Financial Times. 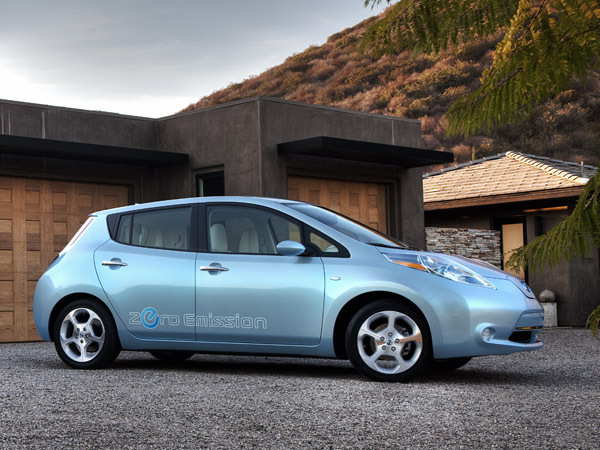 Nissan says it has alrealdy sold more than 20,000 Leafs from the car’s debut in December 2010 to late November 2011. Most of the cars were sold in Japan and the United States. Andy Palmer, Nissan’s managing director of business strategy and corporate planning said Leaf sales were slightly behind expectations in 2011. The Leaf’s launch was delayed by a month in the U.S. because of distribution problems, while the Japan earthquake and tsunami in March disrupted supplies of some of the electronic components used in the Leaf. On top of that, the Oppama plant in Japan that builds the Leaf closed for about three weeks. Palmer added that orders for the car are strong and could determine Nissan to double sales to 40,000 in 2012, as the Leaf will be introduced in more European countries and U.S. states. “That’s our aim: to double that volume, which is basically buffering up against our capacity,” Mr Palmer was quoted as saying by the Financial Times. Nissan also plans to build the car at its U.S. plant in Smyrna, Tennessee and in Sunderland, England, from 2013.